Photo Booth Rental Vancouver & Lower Mainland BC Area | Xstatic Photobooth Co.
More People. More Fun. More Memories. 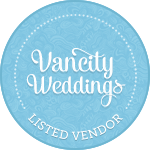 Photo Booth Rentals in Vancouver and the Lower Mainland. Let us make your special event one to remember with our innovative photo booth which allows for more people, customized backdrops and templates with options like our green-screen, and more fun memories to look back to when it's all done. With Xstatic, you get More for Less. Our booth includes a touch-screen with the latest software powered by a powerful Canon DSLR camera and Sony digital photo printer for quick, lab-quality photos. Fun, customizable screen and photo templates best suited for your event whether it be a wedding, birthday, corporate, or any other special event. Your rental includes use of our large selection of fun and silly props to make your pictures unforgettable and to enhance the experience for your guests. Our open-concept booth allows for more people to join in on the fun to create more memories. Get all of your friends and family together as we capture all of your special moments. In addition to our collection of traditional backdrops, we have introduced the green screen backdrop to provide you with the option of any digital image available providing many more options than you could imagine. Read more about our green screen option below. A full-time photo booth attendant is included with our packages to ensure everything is running smoothly and that your guests are taken care of when they're using our booth. Our green screen backdrop option is available for any of our packages and allows you to have an unlimited number of options when it comes to the backdrop for your event. By being able to use any digital image that is available, there are no limits for what type of backdrop can be used for your event. When it comes to events with special themes such as Birthdays or the Holiday Season, the green screen provides the ability to be more creative when choosing a backdrop. With Xstatic Photobooths, you get More for Less. Check out some more awesome features available upon request. Our booth is also a video booth that allows your guests to record video clips to share their thoughts and best wishes during the special occasion. Take advantage of great features such as music playback and voice instructions during a photo session. Take a look at some of our most recent stuff including backdrops and templates. See what some of our previous clients have to say about us. "Thanks again for having the photo booth there. People loved it!" "Thank you very much! That was great, everyone loved it! Our green screen backdrop was so cool and came out amazing! The attendant was great as well." "Everyone that I heard from had at an awesome time at the booth. The photos with the template turned out awesome! Appreciate your help with everything!" Need help now? Give us a call now! ©2018 Xstatic Photobooth Co. All rights reserved.